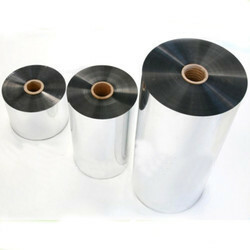 We offer Metalized Polyester Film to our clients. We have carved a distinct position in the market by offering Metalized BOPP Film. We take pleasure in introducing ourselves as leading firm by offering Metallized Laminated Film. We are offering our client an excellent quality range of Metallized Polyester Films. These are made from qualitative range of raw materials. These polyester films are offered in variety of sizes and colors.